Electronic Arts has become the first publisher to give its official support to GaymerCon. GaymerCom, "the first gaming and tech convention with a focus on LGBT geek culture," is coming next year and it's bringing Electronic Arts with it. EA is the first publisher to announce its official support of the con, joining the Xbox Live team and Penny Arcade. "EA believes that to be truly innovative, you must be inclusive," said Ginger Maseda, EA's Global Talent Acquisition and Inclusion Leader. "We are proud to be a part of this event." 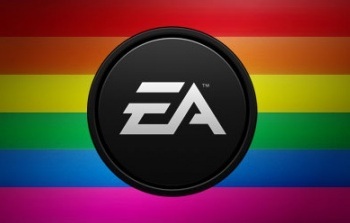 "EA not only publishes some of the best games in the world, but they're the most progressive company in the industry. We're thrilled and honored to have them involved in GaymerCon," added GaymerCon Industry Relations Director Jack DeVries. Electronic Arts isn't everybody's favorite videogame company, but I don't think there's any other publisher in the business that has so wholeheartedly embraced, primarily through its BioWare studio, the simple concept of diversity. The Dragon Age and Mass Effect franchises both took big steps toward genuine inclusiveness with both player characters and NPCs, and that's to be applauded. The inaugural GaymerCon will take place on August 3 and 4, 2013, in San Francisco. To find out more, hit up gaymercon.org or check out the GaymerCon Facebook page.